Australian researchers are trialing eye drops that could have the potential to replace current surgical methods to treat pterygium of the eye. Lions Eye Institute (LEI) researchers have entered the recruitment phase to test a new drug, called AG-86893, on patients with pterygium. Also known as ‘surfer’s eye’, pterygium affects 270,500 Australians. Pterygium is a fleshy growth on the surface of the eye caused by a combination of genetics and environmental factors, including excessive exposure to sun, dust or wind. As it progresses, the condition can obscure the optical centre of the cornea, causing a visual impairment that requires surgery. The LEI Clinical Trials team, led by ophthalmologist Dr Jean-Louis deSousa, in Western Australia will test whether the newly-developed eye drops can reduce eye redness associated with the condition, and its potential to replace surgery as a treatment option. deSousa said Australia had one of the highest rates of pterygium in the world, affecting 1.1% of the population, and rising to 12% in men over the age of 60. “We will be testing the potential of a medication called AG-86893, which is a reformulation of an existing drug called nintedanib, to reduce eye redness associated with pterygium with short-term use as well as reducing new blood vessel growth and fibrosis that may contribute to the growth of pterygium with longer-term use,” he said. The SURPH (StUdy of the Response to AG-86893 in patients with Pterygium Hyperemia) Trial is recruiting participants in Western Australia, New South Wales, Victoria and Queensland until 31 May. Researchers have claimed a breakthrough following the successful use of stem cells to repair eye tissue and improve vision among patients with limbal stem cell deficiency. As part of the project, organ donor stem cells were used to create tissue, which was then transplanted to patients as part of a randomised clinical trial. Led by the University of Edinburgh and the Scottish National Blood Transfusion Service, researchers began by isolating stem cells from the corneas of people who donated their eyes after death. The stem cells were then grown into tissue, which was then transplanted to eight people of a 16-person group. Both groups were given eye drops and medication to suppress their immune system. Over the course of 18 months, patients who received the stem cell implants showed signs of significant repair of the ocular surface, which was not seen among the control patients. Both groups showed improved vision, which researchers say warrants further investigation. Researchers on the project have claimed that this is a landmark study, and paves the way for further donor trials to be planned. Researchers also claimed this is also the first time that stem cells have been used this way in a randomised, clinical trial. 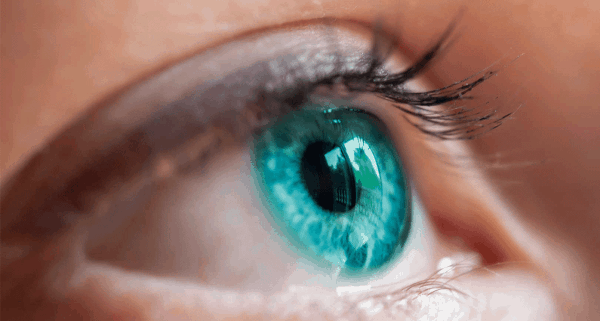 “The findings from this small study are very promising and show the potential for safe stem cell eye surgery as well as improvements in eye repair,” Professor Baljean Dhillon, Centre for Clinical Brain Sciences, at The University of Edinburgh, said. The next step for researchers will be to further examine how stem cells could promote tissue repair for other ocular conditions. The research was published in STEM CELLS Translational Medicine, and was funded by UK Stem Cell Foundation, Scottish Enterprise and the Chief Scientist Office, part of Scottish Government Health Directorates.